Make a burgundy cutout bodycon dress your outfit choice for a Sunday lunch with friends. 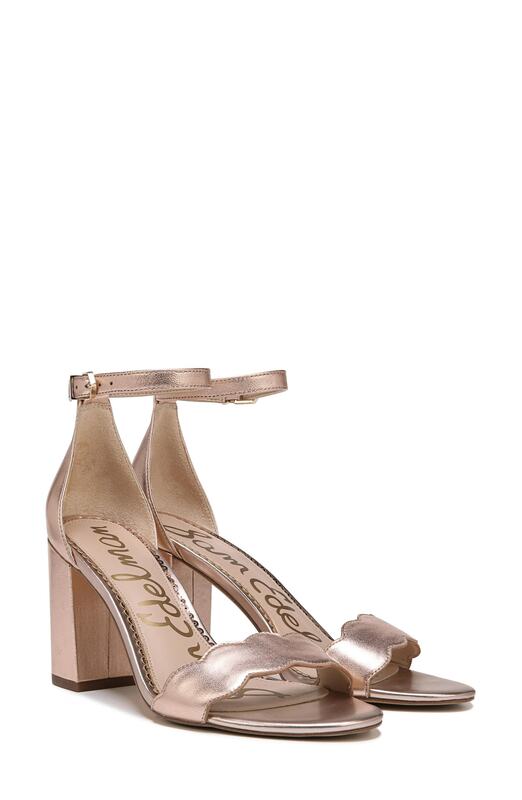 Wearing a pair of Sam Edelman gold leather heeled sandals is a simple way to add extra flair to your getup. Contrary to what you might believe, looking stylish doesn't take that much the workplace. Just dress in a red shift dress and you'll look wonderful. When it comes to footwear, this getup is round off wonderfully with Sam Edelman gold leather heeled sandals. If you don't like getting too predictable with your outfits, wear a burgundy bodycon dress. Kick up the cool of your getup by rounding it off with gold leather heeled sandals. An olive military jacket and black jeans are absolute staples if you're piecing together a casual wardrobe that matches up to the highest style standards. Spruce up this getup with gold leather heeled sandals. Contrary to what you might believe, looking elegant doesn't take that much the place of work. Just opt for a burgundy polka dot wrap dress and you'll look incredibly chic. When it comes to shoes, this look is round off wonderfully with gold leather heeled sandals. Opt for a green floral skater dress to prove you've got serious styling prowess. A pair of gold leather heeled sandals adds some real flair to this outfit. Rock a black silk swing dress for a comfortable outfit that's also put together nicely. Got bored with this ensemble? Enter gold leather heeled sandals to spice things up. Opt for a navy lace shift dress and you'll ooze class and refinement. When it comes to shoes, this ensemble pairs well with gold leather heeled sandals. If you're searching for a casual yet absolutely stylish getup, marry a white print sleeveless top with a yellow mini skirt. As well as very comfortable, both garments look stunning when worn together. Kick up the cool of your look by completing it with Sam Edelman gold leather heeled sandals.